Yes, it’s almost Easter and chocolates are on our near horizons. It’s true that it’s a religious celebration but it’s also very much associated with sweet treats for the kids, Easter Egg hunts and chocolate bunnies, and those very sickly cream-filled eggs. Luckily Lily O’Brien’s comes to the rescue with something appealing to the grown-ups. Something beautifully packaged and presented. Lily O’Brien’s hand-crafted Milk Chocolate Eggs come with a tempting little collection of a variety of extras enticingly visible outside the egg, to stave off the moment when one needs to actually break that delicious shell. Oh, deep joy! I have tasted these chocolates before, and they are outstanding. 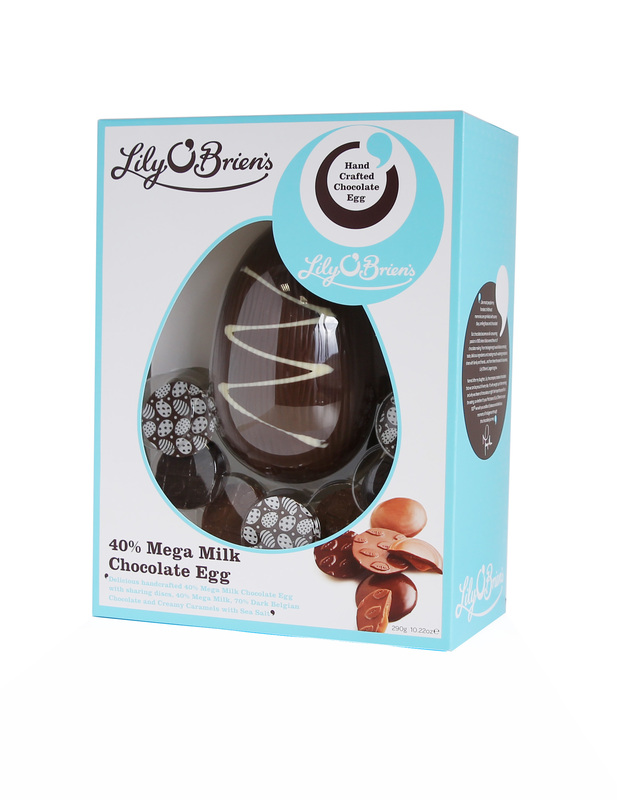 Lily O’Brien’s Mega Milk Chocolate Egg has both shell and discs for quiet and delicious Easter moments. These are the stripe of confection that one more usually finds in smart and pricey chocolate boutiques. If you have loved ones who live at a distance, but you still want them to have an eggy Easter, then Lily O’Brien’s has the solution to your holiday dilemma. Order online and have some classy treats delivered. Order now to avoid disappointment. Lily O’Brien’s is a quality Irish company making equally distinguished confections. Great value for money.